Although each story of a missing or murdered aboriginal women is different, there are also similarities that arise again and again: abuse, trauma, child welfare, addictions. And almost always, poverty. Roxanne Isadore was already a survivor by the time she reached her sixth birthday. "She used to scream at night … 'That guy is after me.'" Her grandmother Angeline recalls how the sexual abuse Roxanne experienced as a child haunted her for years. As she got older, she continued to struggle. There were suicide attempts, addictions. And when she was 24, she disappeared. 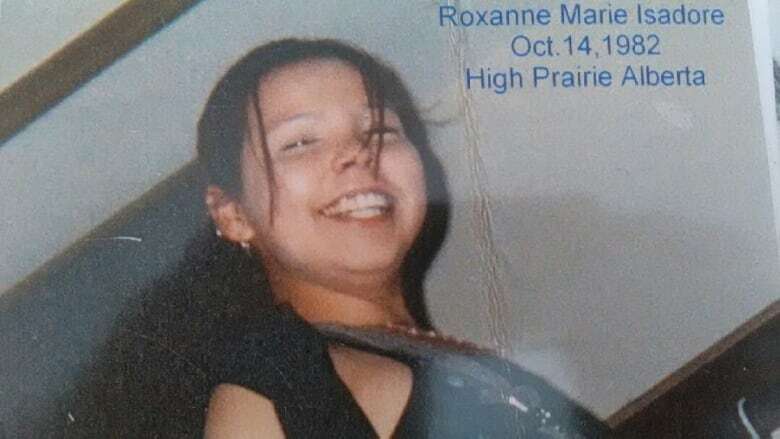 Roxanne is one of hundreds of missing or murdered indigenous women in Canada. Women who were born into lives that forced them to fight for survival in communities rife with poverty, trauma, abuse and, inevitably, violence. Individually, their stories are tragic and heartbreaking. Collectively, they are horrifying. A CBC News database launched earlier this week found more than 230 indigenous women across Canada whose deaths or disappearances are unsolved. We interviewed 111 of their families and told their stories. Not just about the death or disappearance of a loved one, but who she was and how she lived. Each one of those women is unique, each story is gut-wrenching. Yet reading these profiles together, you begin to see patterns emerging. The underlying causes associated with missing or murdered indigenous women become hard to ignore. "We grew up in a home where emotions were masked with alcohol," Candice L'hommecourt said when asked about her missing sister Shelly Dene. "I don't want to make excuses, but I want to say we were like from the forgotten-children era because of residential schools." About a week before Rhonda Runningbird went missing in March 1995, she showed up to her mom's house and could barely climb the stairs. 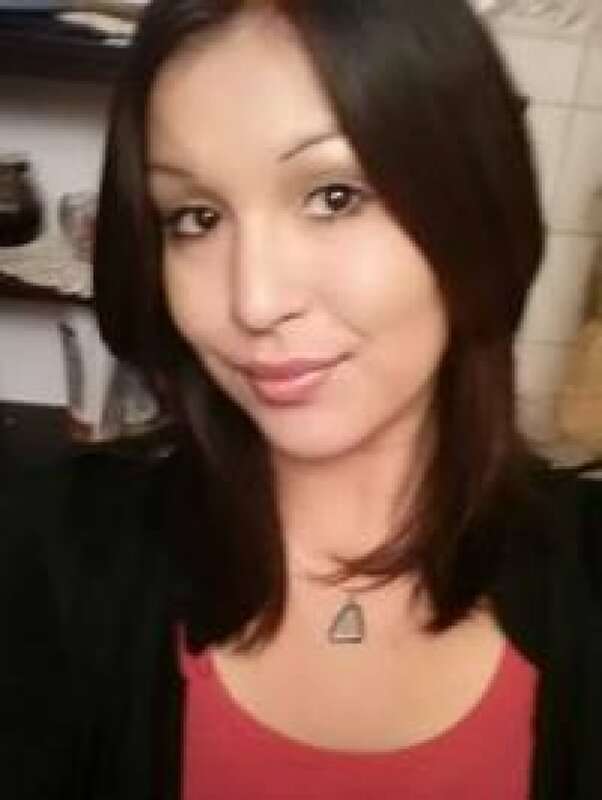 The 25-­year-­old mother of three had been beaten so badly she was given a colostomy bag and scheduled for surgery at the end of the month, said her mother Mavis Crowchild. Bernadette Ahenakew had a difficult life before she was killed, according to her sister Nancy Masuskapoe. Not only was she in government care for 10 years, she also experienced physical and sexual abuse. Life before foster care wasn't any easier. Masuskapoe says their life at home was often filled with violence, neglect and alcohol. Although their stories are different, the similarities arise again and again. Abuse, trauma, child welfare, addictions. And almost always, poverty. 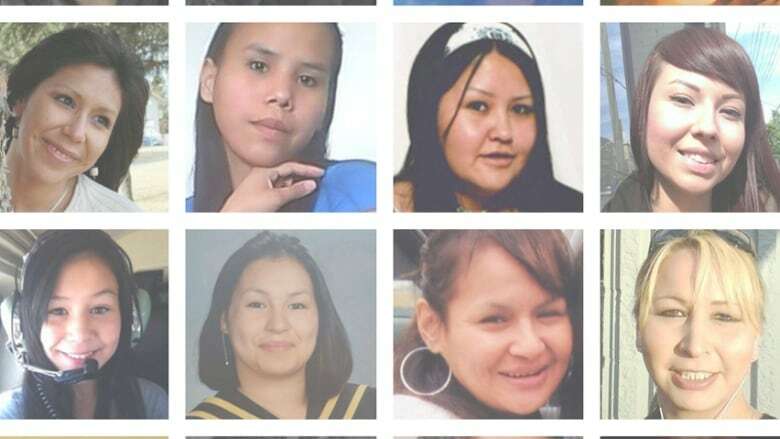 The harsh reality is that the murdered or missing indigenous women are not the only victims. Look to Canada's jails, homeless shelters and hospitals to see others. Aboriginal women make up nearly 34 per cent of all female prisoners in Canada. And there are more indigenous children in care now than during the height of residential schools. 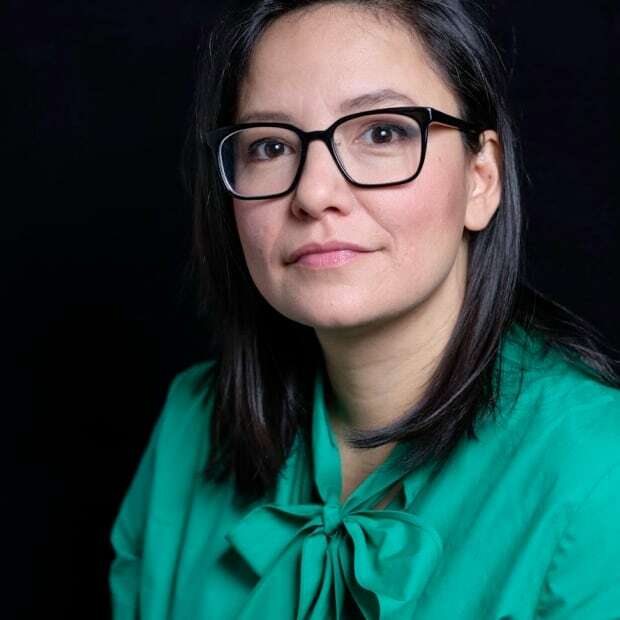 That can be traced back to colonization and policies rooted in assimilation, says advocate and lawyer Christa Big Canoe. "We have to contextualize everything. We have to look at the history and roots of institutionalization of aboriginal people in this country, including things like residential schools, the '60s Scoop and, most importantly, the criminalization which has incarcerated a lot of people in our communities," Big Canoe said. A study released today supports the idea that the violence currently faced by indigenous women has roots in the past. The Cedar Project followed 259 aboriginal women for seven years. Researchers found that survivors of childhood sexual abuse are 10 times more likely than the average person to be sexually assaulted. Children of residential school survivors are 2.35 times more likely to be sexually assaulted. These issues are not limited to aboriginal women. Indigenous men are equally affected and over-represented in the Canadian justice system. And according to the RCMP, they are also the main perpetrators of violence against aboriginal women. RCMP Commissioner Bob Paulson says 70 per cent of the murders of aboriginal women that have been solved were committed by aboriginal men. But does it really matter who is committing the violence? Are indigenous women less worthy of sympathy or support if the perpetrators are of their own race? The RCMP's statistics on violence against indigenous women reinforce the fact that there are systemic issues that continue to affect all aboriginal people. We must continue to tell the stories of every missing or murdered indigenous woman or girl. Each leaves behind a family who loved them and communities struggling to deal with their loss. But if you look beyond the individual stories, it becomes painfully obvious that dealing with these issues is not just a matter of violence prevention, it's crisis intervention. We can't ignore the patterns that are being repeated again and again in the lives of these women. Until the root causes are addressed, the violence will continue.